944 ULTRA TOURING: Our 944 Series Ultra Touring shocks are designed to deliver a comfortable ride at a 1" lowered stance. Built around our latest proprietary patented FST technology, the Ultra Touring shocks utilize all the suspension travel provided by the full-length stock units, but in a 1" lowered ride height. The unique Ultra Touring spring combination not only delivers a lowered ride height while its being ridden, but also while it’s on the side stand. The 944 Ultra Touring shocks are available in 3 configurations: Standard Weight, Heavy-duty (250+ lbs.) and Super Heavy Duty (350+ lbs.). 944 ULTRA LOW: Just like the name implies, this is the lowest version of our 944 Series shocks. Designed to sit 2” lower than a stock HD Touring model and provide the best ride a short shock can! *There is no substitute for suspension travel, for optimum ride quality we recommend the taller Ultra Touring version of our 944 Series shocks. The 944 Ultra Low shocks are available in 2 configurations: Standard Weight and Heavy-duty (250+ lbs.). 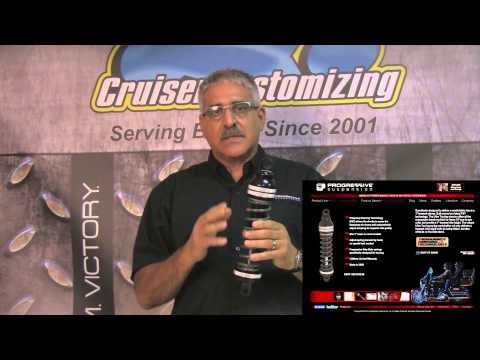 Every 944 Series shock is hand-built, tuned and dyno’d and include a Lifetime Warranty.